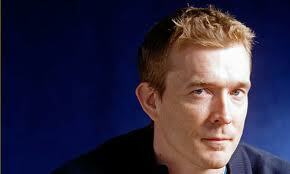 David Mitchell does not write stories, he writes patterns. Oh there are stories in his books, but if you read them for the story you are not going to understand what is going on. You need to read them for the shape they are making in order to get out of them all that is going on. This pattern-making was obvious from his first novel, Ghostwritten. If you read that book for story, then all you get is a jagged series of short stories in which a minor character in one story is likely to turn up as a major character in the next. Other than that, there seems little connection between the pieces; certainly there is no over-arching story that is resolved through the accumulation of the separate pieces. But if you look at the patterns he creates on the page, an awful lot more emerges from the novel. There is the modulation I have already noted, from minor to major (and the musical metaphor is appropriate, music shapes his books a lot). There is the fact that the stories trace a route around the world. There is the way that the stories change their character depending on where in the world we are, from ghost story to crime story to science fiction. It looks like postmodern play, an exuberant young writer trying out all sorts of different voices and styles, but as we read other novels we begin to recognise that there is more to it. This variation in tone, this extraliterary metafictional shaping of the work is intentional and very carefully worked out; there are patterns, not just within each book, but increasingly from book to book. This is most overt in his best known, and perhaps best, novel, Cloud Atlas. Read this novel for story and you will be repeatedly thrown out of the work. It is a set of six independent novellas that are historically located at various points between the early part of the 19th century and a distant post-catastrophe future. Five of the stories break off at the midway point, and then resume in reverse order. There is no story arc that means the conclusion of the 19th century story serves as a climax for any of the others. But read the book for pattern and you see much more in the book. There are recurrent images: the comet birthmark that several of the characters bear, which suggests that they are avatars of each other (or perhaps, given what we learn in The Bone Clocks, reincarnations). There is the same generic play that we saw in Ghostwritten, so that one section is a crime novel, one is a diary, one is a confession and so on. There is the theme of predation that runs through each of the stories (though it has to be noted, on a broader level, that predation is a theme running through everything Mitchell has written). Each story in turn is read by the central character in the next story, so that we get a sense of continuity, of events in an earlier story having an effect upon the later story; but more than that, in the second half of the book when the tales are unravelled backwards, there is also a suggestion (never explicit) that later events are also influencing earlier stories. 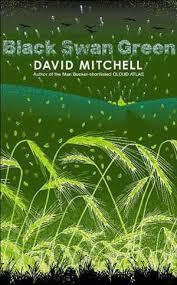 But more than this, we are now in Mitchell’s third novel, and we can begin to detect patterns that link the different books. For instance, Luisa Rey who stars in the Chandler-style crime story here is, in Ghostwritten, the author of a series of such crime novels. Such patterns, within the book and between the books, recur even in what is apparently the most conventionally structured of his novels. Black Swan Green is that most traditional and conservative of realist novels, the semi-autobiographical bildungsroman. Yet patterns persist. The novel is set over a period of thirteen months; the last chapter brings us back to the starting point, and brings to a resolution the story begun in the opening chapter but largely forgotten during the intervening year. Jason, the central character who is roughly the same age as Mitchell and suffers, as Mitchell does, from a stammer, is a would-be poet. Each chapter, each month in the year, serves to develop his poetry; but through the course of the novel there is a shift from poetry to prose. 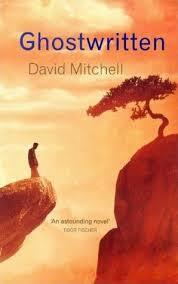 What we are watching, structurally as well as thematically, is the emergence of Mitchell the novelist. And patterns reach outside the novel also. The old foreign lady who takes an interest in his writing turns out to have appeared, in her youth, in the second part of Cloud Atlas, the part that spells out the structure of that novel in musical terms. The Thousand Autumns of Jacob de Zoet is another conventionally-structured novel, a straightforward, chronologically-told historical novel set within the very narrow confines of Dejima, a Dutch trading post at Nagasaki as the 18th century turns into the 19th. Yet this, too, is a novel of patterns: situations echo each other throughout the novel, the charges laid against the former chief of Dejima in the opening pages of the novel serve as a contents list for what will occur later, the characters all represent in different ways the idea of owning and being owned, imprisoning and being imprisoned. In fact, every one of the six novels Mitchell has written to date includes at least one character who also appears in at least one other novel. This despite the fact that the novels are all very different in tone, character, setting. 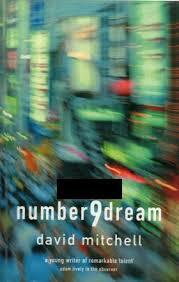 Thus Mo, the old woman who is a comforting presence in the final post-catastrophe chapter of The Bone Clocks, also appears in the kaleidoscopic Ghostwritten and in the Japanese coming-of-age-with-Yakuza novel, number9dream. Meanwhile, Hugo Lamb, the disconcerting, bullying intruder into Jason’s narrow world in Black Swan Green, turns out to be one of the villains of The Bone Clocks; and Dr Marinus, the grouchy doctor in The Thousand Autumns of Jacob de Zoet, becomes one of the heroes of The Bone Clocks. At first, we might think of this recurrence of characters as a game the author is playing, a secret puzzle to amuse the geeks, a little convenience that saves Mitchell having to keep inventing new names. But the more we read the pattern that links the different books, the more we recognise that this is intentional, that all is part not of a series of novels but of one, huge, multiform work. Indeed, the thought occurs that maybe Mitchell already had The Bone Clocks in mind when he began writing Ghostwritten, that these patterns aren’t chance but deliberate. Maybe not too far-fetched an idea, given that this interview suggests he already knows what his twelfth novel is going to be. 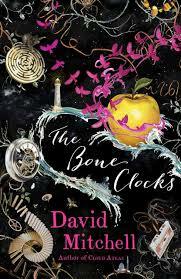 So, what are we to make of The Bone Clocks, not as a single, stand-alone novel but as the latest chapter in an ongoing series. In many ways it is his most ambitious work, because this is where part of that all-consuming overarching pattern must start to become clear. And because it is so ambitious, it is easier to see it as a failure; or, at least, it is easy to see why so many critics have registered doubt about the book. To begin to tie together so many patterns that interweave across such diverse works is more than one novel can sensibly encompass, at least without reverting at moments to the sketchy, the abbreviated, the hand-waving. If you miss part of the pattern, then elements of the book may feel unfinished; if you read for story, then this book more than his others is going to feel rushed or incomplete in places. There is too much going on; it is a noble attempt, yet it does not, perhaps could not, always hit the target. Nevertheless, I love it. I think it is a great big sweeping jeu d’esprit of a novel, crowded with vivid moments, passages that are as fine as any he has written, drama and intrigue galore. And, as always, it is pattern laid upon pattern, so that new shapes are constantly opening up. 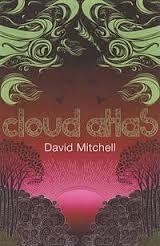 It is the mirror of Cloud Atlas, a novel made up of six separate novellas, but here the stories are not broken up, indeed individually they seem quite conventional: a young girl running away from home; a con artist plotting his own enrichment; a journalist counting the human cost of the wars he covers; an author facing the diminution of his talents and fame; an eternal war between good and evil (about as conventional a fantasy tale as it is possible to get, and very conventionally told); civilisation falling apart after the catastrophe. As in Cloud Atlas, predation is the consistent theme: the baddies in the overarching fantasy story literally predate on others, drinking the blood of victims to secure their own immortality, but all the other stories echo this theme with different types of predation (sexual, criminal, military). In Cloud Atlas the direct link between stories was a mark that certain characters bore; here, the link is one person, Holly Sykes, who narrates the first and last stories and who acts as the abiding moral presence at the heart of the other four stories. The structural pattern in The Bone Clocks isn’t as overt as that in Cloud Atlas, but it is there nonetheless. The first story focuses tightly in on the narrator, Holly, it is set in a small area of Kent and occurs over just a few days. The second story also has a first person narrator, Hugo Lamb, but the action is spread over a matter of weeks and takes us from Cambridge to London to Switzerland. The narrator of the third story, Ed Brubeck, splits his narrative into two parts, one set in Brighton over a couple of days in 2004, the other set in Iraq (Baghdad and Fallujah) in a period shortly before the events in Brighton. The fourth story is ostensibly a first person narrative by the author Crispin Hershey, though he often addresses himself in the third person, and the narrative extends over several years and ranges from Cartagena to Australia to Iceland to a small college in upstate New York. The fifth story is narrated by Marinus, but because she is many she extends the change in person of Hershey’s narrative, and because she is immortal the narrative ranges over centuries even though the actual action at its core occupies just a few days; and again, as with Hershey’s story, the narrative extends around the globe. What happens, therefore, is that each successive narrative opens the story out more and more, geographically, temporally and in terms of person. Then, in the final chapter, everything comes back down to Holly; she is old now, but the focus is as close-in as it is in the first chapter, geographically it ranges over an even smaller territory than in the first chapter, and it matches that first chapter in the time period it covers. We might think of the structure of the novel like ripples in a pool spreading ever further out from its initial point, which is Holly. I think pattern is one of the reasons behind much of the criticism of the book. I am not saying that pattern places it above criticism, or that it is perfect. In fact, I feel that there are several things in the book that I find unsatisfactory. But at the same time, seeing the pattern puts certain elements into a context that some critics seem to have missed. A couple of times, for instance, I have seen comments to the effect that the scenes in Iraq during Ed’s chapter are an irrelevance, an excuse for Mitchell to express his opposition to the war but really play no significant part in the overall novel. Nothing could be further from the truth. The Iraq scenes are there because they provide a necessary mirror to the overall war that is going on behind and underneath everything else in the book. Without Iraq, all the book would present is the ongoing, ahistorical war of the immortals that is vague and at best esoteric; with Iraq we see all war as cruel and dehumanizing to both sides in the conflict. So we see that what the immortals do is not detached from what we know, and we get a way of measuring the human cost. Moreover, as I’ve said, predation is one of the themes that run through this book as it has run through so much of Mitchell’s work. In the first chapter we see the predation of Vinny and Stella, and of course the attack upon Holly by the Anchorite; in chapter two Hugo is the predator, feeding on his richer university mates, stealing from the old man in the home, and so on; Crispin Hershey is another predator, his framing of Richard Cheeseman for instance, but discovers in the end that he is far lower of the food chain than he imagines; and of course there is the predation of the warlords in the final chapter. Within such a context, to write a novel that takes us from 1984 (a significant starting point) up to the middle of the current century without incorporating the predation of the endless wars that have embroiled the West would seem odd indeed. Within all of this, Holly is the still moral point at the heart of it all. To my mind the best chapter in the book is the one narrated by Hugo, in part at least because his voice is the most distinctive, the best realised of the different voices that Mitchell employs. But it also works because of the subtle way in which his amorality is modified when he comes into contact with Holly. Of course, he doesn’t recognise this himself, but we begin to see something softer, more human once he meets her. So when he is finally recruited by the Anchorites, it becomes not just a natural step that is inevitable given his character, but an actual moral choice. Something similar occurs in the Crispin Hershey chapter; the old reprobate becomes rather less selfish, less arrogant, in his various encounters with Holly. I don’t think this works as well as it does with Hugo Lamb, in part because this is my least favourite chapter; it reminds me too much of the forced publishing comedy of Timothy Cavendish which was, to my mind, the weakest section of Cloud Atlas. One of the things I don’t particularly like about The Bone Clocks is the ending, the arrival of the Icelandic ship with its promise of civilisation continuing, is rather too pat to convince, and anyway feels like a rather lame conflation of the arrival of the adults at the end of Lord of the Flies and the departure of the last hope for Middle Earth at the end of Lord of the Rings. Nevertheless, despite the sentiment, I can see why the novel had to end this way, because there had to be some reward for Holly’s goodness. I just wish it hadn’t been quite so deus ex machine. The core of the novel, of course, is chapter five, where we get to the detail of the war between the Horologists and the Anchorites. We’ve seen it coming: there have been hints of something massive, brutal and far-reaching circling around Holly ever since her brother Jacko portentously handed her a labyrinth within pages of the start of the novel, and there are encounters with the fantastic that thread through every chapter. So the big reveal shouldn’t come as a surprise to anyone who has been paying attention, and the fantastic has been thoroughly integrated with the more naturalistic portions of the novel. What’s more, we have encountered the Anchorites before, though not under that name, at the House of Sisters on Mount Shiranui in The Thousand Autumns of Jacob de Zoet. This is, in other words, part of the pattern that ties all of Mitchell’s novels into one massive whole. Nevertheless, when the Horologists enter the realm of the Anchorites, and engage in a hand-to-hand battle that effectively comes down to throwing spells at each other, it is all a bit clichéd. There is enough to take in to recognise two types of immortality and appreciate the enmity between the two tribes, I’m not sure we needed the suggestion of magic powers that accompany it all. For a few pages, the novel becomes indistinguishable from generic fantasy: it is well written, but it is still tosh. But in everything that has led up to this confrontation, including the majority of chapter five itself, and particularly in the chillingly effective post-collapse society presented in the final chapter, Mitchell has produced a powerful and effective novel. The question is, what part of the pattern will be revealed in the next novel?